From alumni events to local Bethlehem events, there is a lot to do this month. Check out the highlights this spring. Join fellow alumni and friends on Saturday afternoon to tour Dock Street Brewery and taste several brews. Each attendee will receive a souvenir pint glass, and a light lunch will be served afterward. Contact Hillar Puskar '85 at [email protected] or (215) 527-3185. 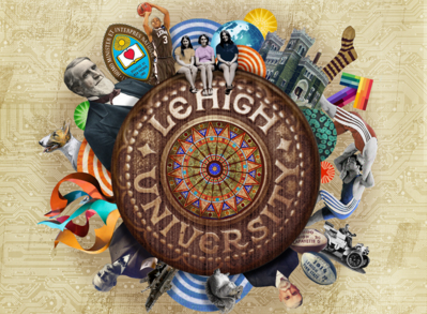 Lehigh has planned three days packed full of fun for alumni. Events will include tours of campus & South Bethlehem, class reunion dinners, the Reunite Dinner, the Sesquicentennial Parade, and the Sesquicentennial Finale Celebration & Fireworks Spectacular. *Some events require pre-registration and payment. CLICK HERE to view the full list of events, see who’s attending, and register! You’ll find everything from comedy show and concerts to dance and runs at the SteelStacks, home to more than 1,000 concerts and eight different festivals annually.